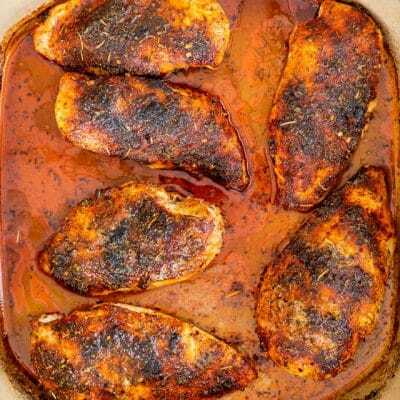 This Oven Baked Chicken Breast Recipe makes the best, easiest, juiciest chicken breasts, deliciously seasoned then baked to perfection! An easy weeknight meal that can be served along any side dish! 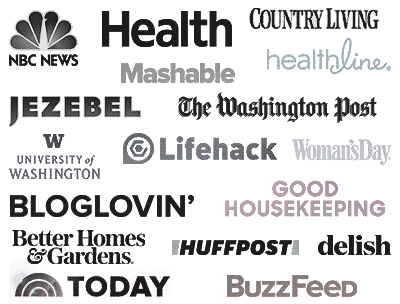 It’s amazing that I’ve been blogging here for almost 8 years, and in that time I have never shared with you a basic recipe for baked chicken breast. I think I know why though. Many times I find myself that the recipes that I cook the most at home, I hardly ever blog about because I just think everybody knows how to make them or I just think I’ve already done it. When I searched my blog for baked chicken breast and came out empty, I just knew I had to rectify that problem. So here I am with my favorite recipe for baked chicken breasts. A lot of people shy away from boneless, skinless baked chicken because they think it’s dry, flavorless and boring. But you know what? 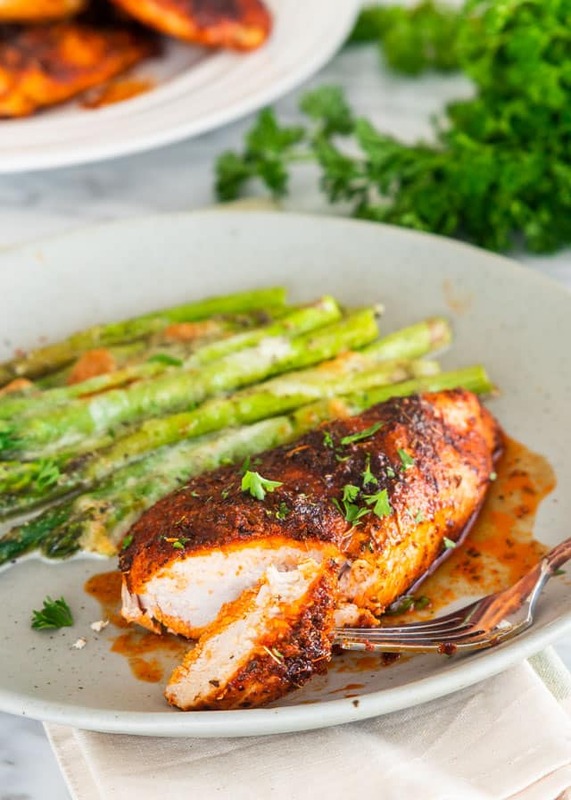 Baked chicken does not have to be boring, it can be juicy, moist, tender and pretty darn delicious! Always season your chicken breast, not just salt and pepper but choose your favorite spices and herbs. Make sure to pat the chicken dry first before seasoning because moisture causes steam which will prevent your chicken from browning. Don’t be afraid to add a little bit of fat like olive oil or butter. Chicken breasts need some fat to keep them juicy and flavorful. If you’ve got the time, brine your chicken for 2 to 4 hours in a solution made with water, salt and other things you may prefer like soy sauce or beer. Basic brine ratio is 1 tbsp salt to 1 cup of water. Baking time can vary depending on the thickness of the breasts, so invest in an instant-read thermometer for best results. 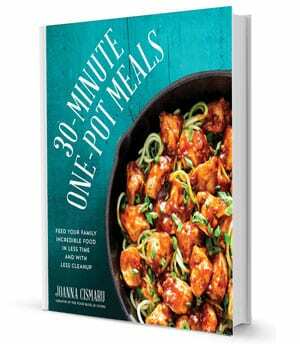 Cooking time is generally 20 to 30 minutes, or until the internal temperature registers 165 F degrees. 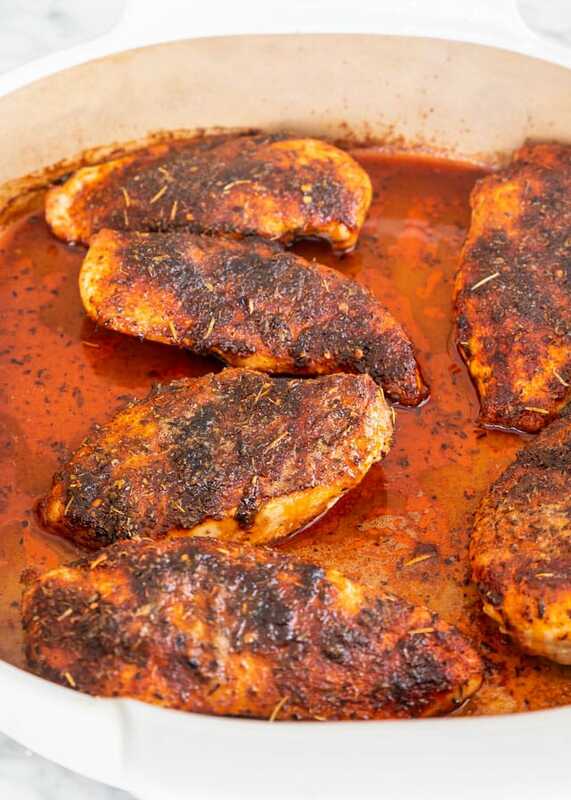 Save the pan drippings and use them to drizzle over the chicken for extra flavor! Heat the oven to 450 F degrees. In a small bowl whisk all the dry rub ingredients together; set aside. Pat the chicken breast dry with a paper towel. Drizzle about 1 tbsp of olive oil over the bottom of a baking dish and brush it over the bottom to cover the entire surface. 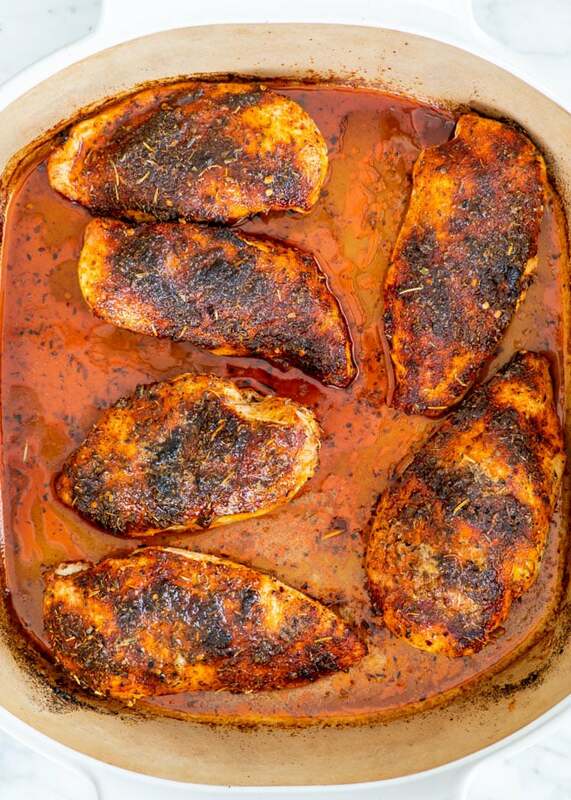 Place the chicken breasts in the baking dish and brush the remaining olive oil over both sides of the chicken. Sprinkle half of the rub over one side of the chicken breasts then flip them over and sprinkle the other side with the remaining rub. 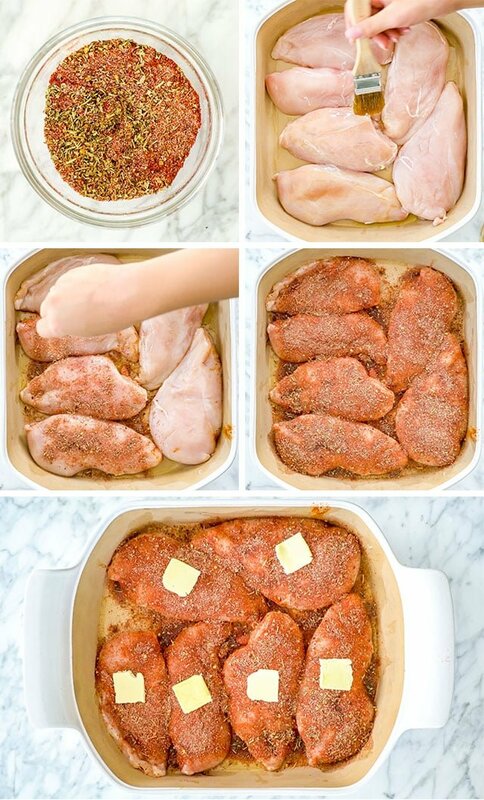 Use your hands if necessary to make sure the entire breasts are seasoned. Place a piece of butter on each chicken breast. Transfer the baking dish to the oven and bake for 18 to 25 minutes. The baking time could differ depending on the thickness of the chicken breast. The breast is cooked when it's completely opaque all the way through and registers 165 to 170 F on an instant-read thermometer. Remove the chicken from the oven and let it rest for about 5 minutes before serving. Serve with your favorite side dish. Chicken thighs or drumsticks can also be used. Bake them until the internal temperature reaches 165 F degrees. Leftovers can be refrigerated for up to 5 days or frozen in an air tight container for up to 3 months. This recipe was incredibly easy and I had all the ingredients on hand. My fiancé loved the chicken so much that he complimented it twice and said it was delicious. I saved this recipe as one of my go to recipes, and can’t wait to make it again. Thanks for sharing this basic, but oh so necessary recipe! Great recipe! Very easy to make and everyone loved it including my 10 year old niece.